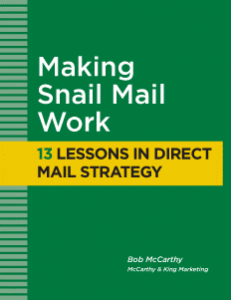 McCarthy & King Marketing, a Boston (Massachusetts)-area direct marketing agency, offers the 5-step Sales Lead System to help business-to-business clients improve their lead generation and lead nurturing efforts. We create and execute direct mail/direct response programs to generate sales leads and meet the needs of your sales team. Through mailing list selection, offer development and our creative services, we’re able to reach your potential buyers and generate a consistent level of qualified sales leads. 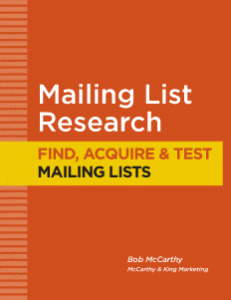 And we continually test and tweak each mailing in search of improved results. 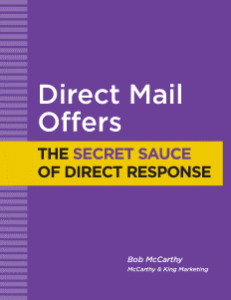 But we know direct mail isn’t for every business or every situation. We can also help you generate leads through telemarketing, email, print advertising, web advertising, PR, public speaking, article writing, trade shows, SEO and social media. Sales leads will come through many doors – via reply mail, 800 numbers, fax, email, and landing pages. We create landing pages and personalized landing pages (PURLs) to give you the flexibility to capture, qualify and, on occasion, close your incoming sales leads. Online surveys can be added to this process to help qualify and score new leads as they enter your system. You’ve made an investment in generating your leads. Are you prepared to simply toss them over to sales? How and when your sales leads should be handed off to sales is always going to be questionable, but you never want to completely let go of your leads. We create and execute email blasts, email drip series and regular monthly newsletters to keep your company in front of your existing leads ensuring that no lead ever falls through the cracks. 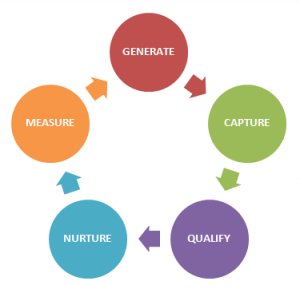 If you look at your lead program as a long-term venture, you will want to track and measure the response for each step in the sales process. When you have access to the metrics, you can make adjustments and continually improve your program over time. 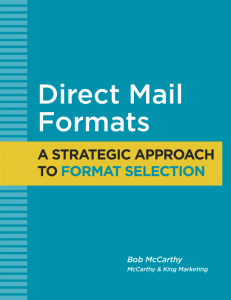 Many people see their direct mail, email and other marketing activities as individual marketing campaigns. The problem is that campaigns are typically implemented for a short period of time and then they come to an end … until it’s time for another campaign. We believe a better approach is to treat all of your marketing activities as part of a lead system that continually generates, qualifies and converts leads 12 months a year. Our programs are developed for your sales process – and we start with the program you already have in place. We will map out your current process from initial inquiry to close. We’ll look at what’s working and what needs improving. And then we’ll off some fresh ideas – to improve your tracking, your measurement, your creative and your results. To arrange your FREE audit, call Bob McCarthy at 508-473-8643.